Here are some of our favorite spots in Chicago and the suburbs. 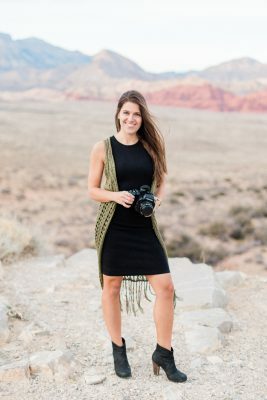 Be sure to check in advance with your favorite location(s) regarding their photography policies so you know you have the perfect backup rain plan in place. 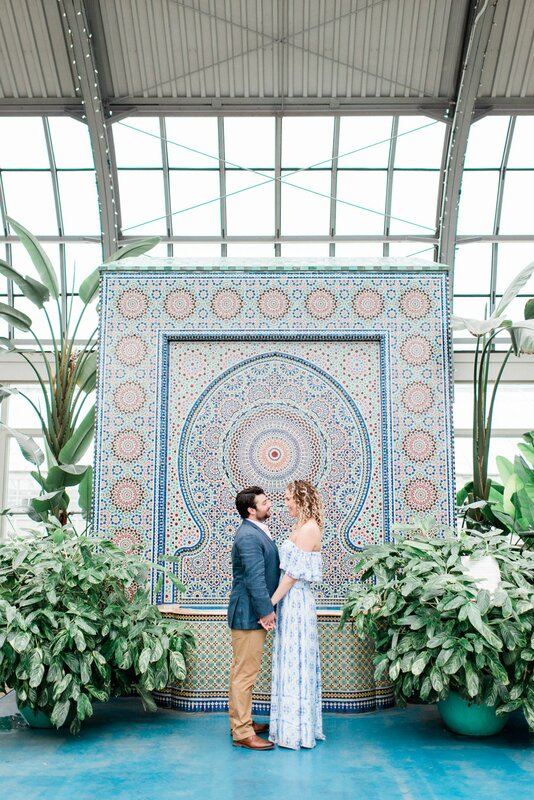 Garfield Park Conservatory* : My fav, fav, fav place for any indoor photos will always be this gem. This beautiful indoor plant filled conservatory is the perfect location no matter the weather. If you are aching for flowers, cacti, or palm trees, this is your kind of place! 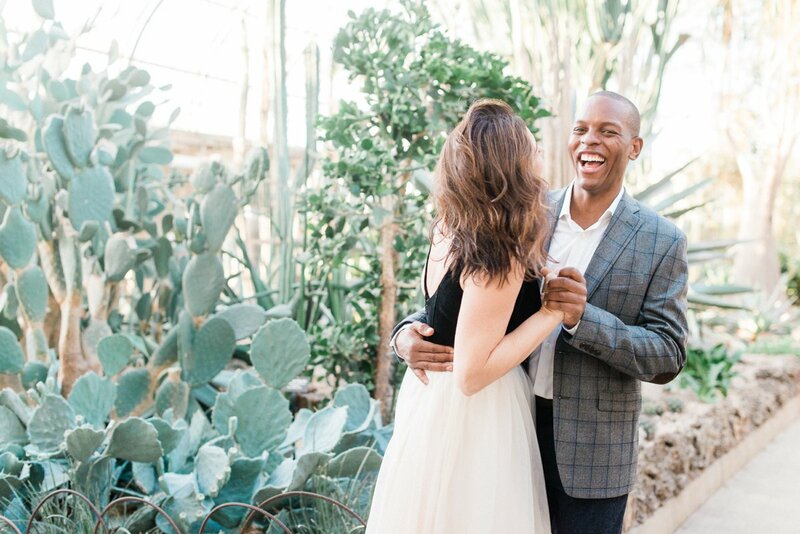 *A $40 photo permit is required to use this location for any photo sessions / weddings. You can apply online in advance. Lincoln Park Conservatory* : Another beautiful conservatory that allows us to pretend we live in perfect weather year round. 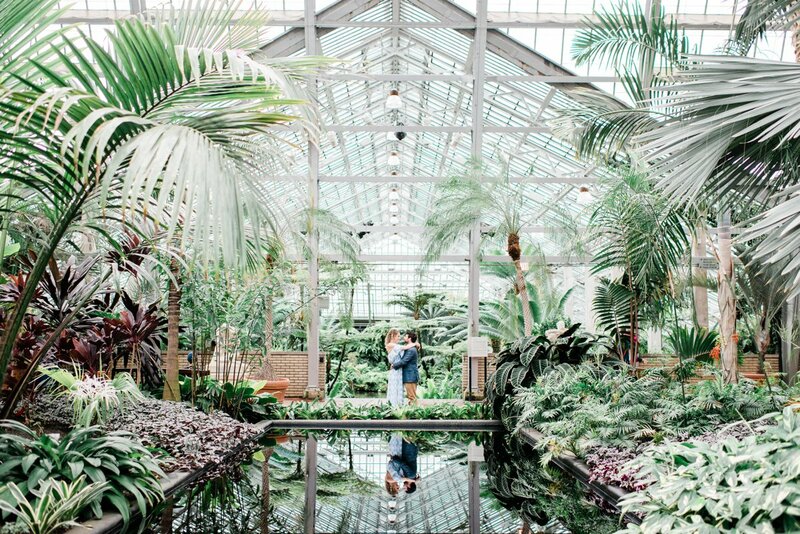 Lincoln Park Conservatory houses stunning horticulture and a tranquil atmosphere. 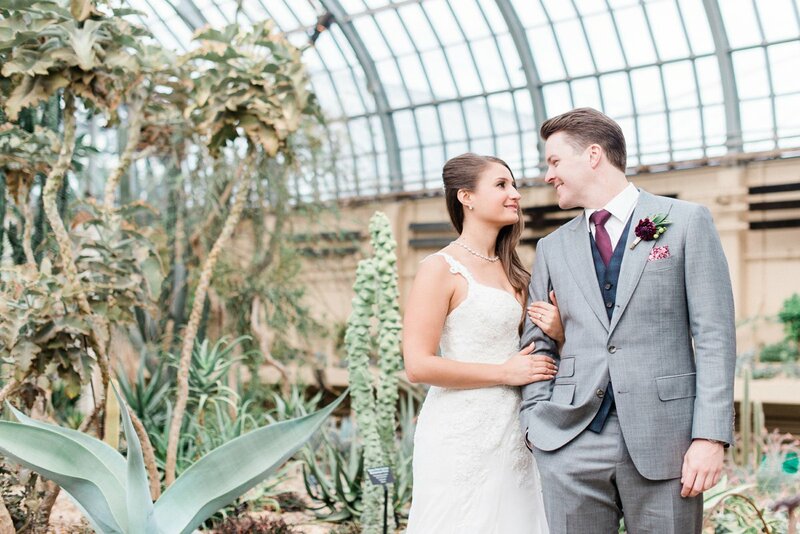 It is a smaller conservatory than Garfield Park, but it tends to be closer to many popular Chicago wedding venues. 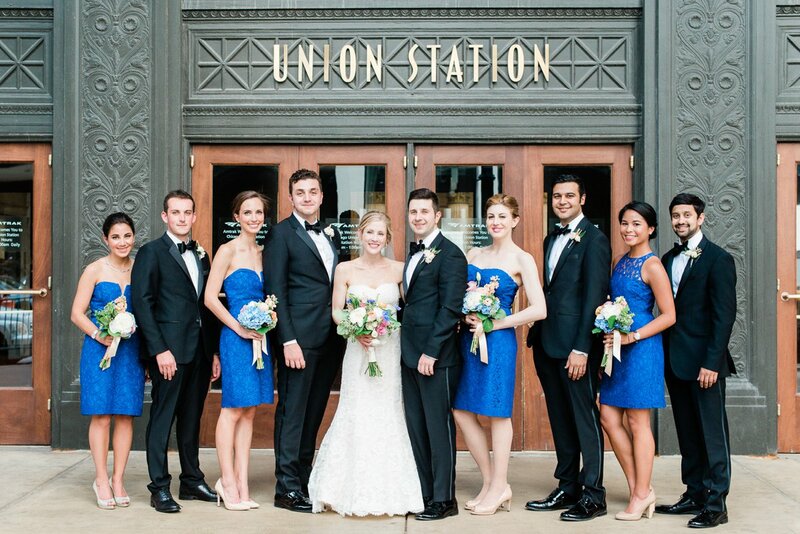 Union Station : If you love architecture, Union Station is a beauty with its gorgeous columns. You are required to have a photo permit if you want to take photos inside Union Station in the Great Hall, however, we are able to take photos outside the building without it. TIP: Keep in mind that this is a very popular rain plan on Saturdays, so you may be sharing the space with another wedding or have to wait in line to take your photos here. 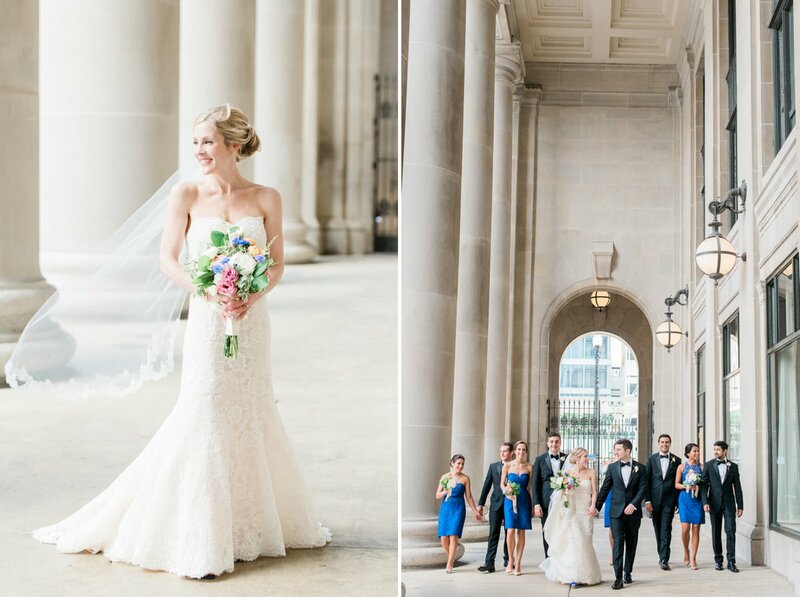 Lyric Opera House : This location is a great alternative to Union Station as it has a similar look / feel but isn’t as popular … meaning you might have this spot to yourselves! 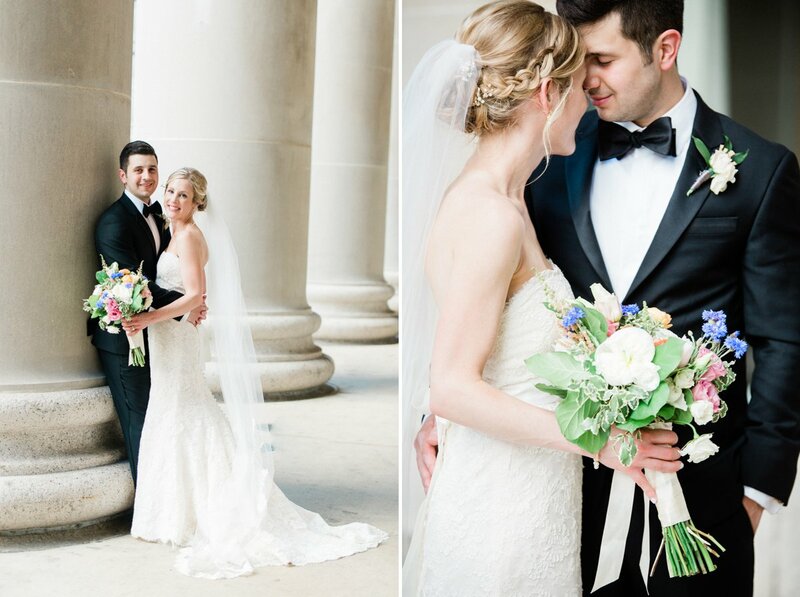 Chicago Cultural Center : A Chicago landmark with gorgeous architecture, beautiful ceilings and an epic staircase. Harold Washington Library: Whether you are book lovers or a sucker for unique ceilings and cozy places, Harold Washington Library is a great location. 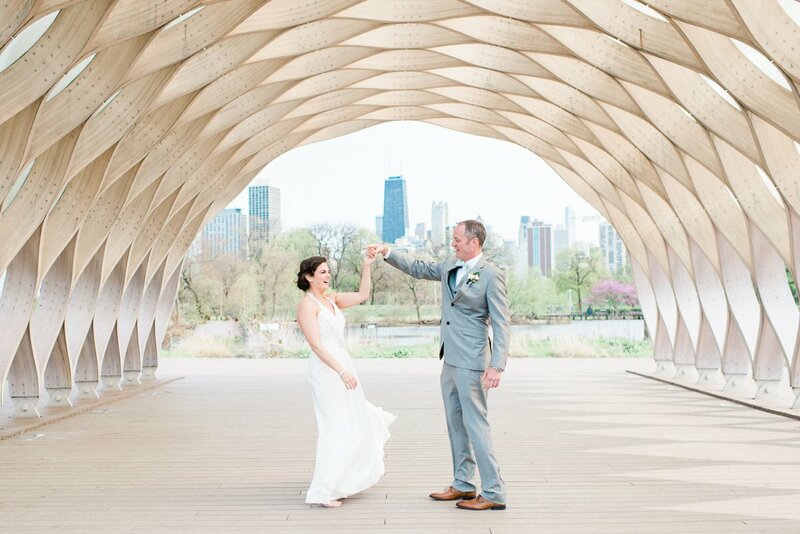 Lincoln Park Honey Comb : If you can’t live without some Chicago skyline views, this covered spot inside Lincoln Park is a great option. Keep in mind, your transportation cannot drop you off right here, so you bring an umbrella and be prepared for a 5-minute walk. 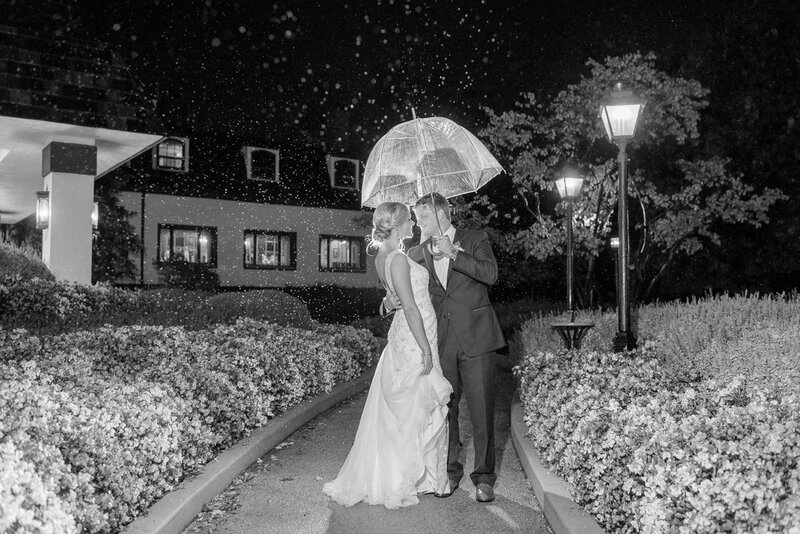 TIP : Grab cute umbrellas for you + your wedding party if you have your heart set on outdoor photos. J. Parker rooftop : This glass enclosed rooftop offers views of your favorite downtown buildings while being able to stay dry inside. Win, win! Celeste Roof Garden : Nestled in River North, this luxe rooftop feels like you are hanging out in the perfect garden tucked away from the city. Your favorite hotel : Is there a hotel in Chicago that you adore the design and decor? If so, give them a call, and ask if you would be allowed to take photos around the hotel / in the lobby on your wedding day. 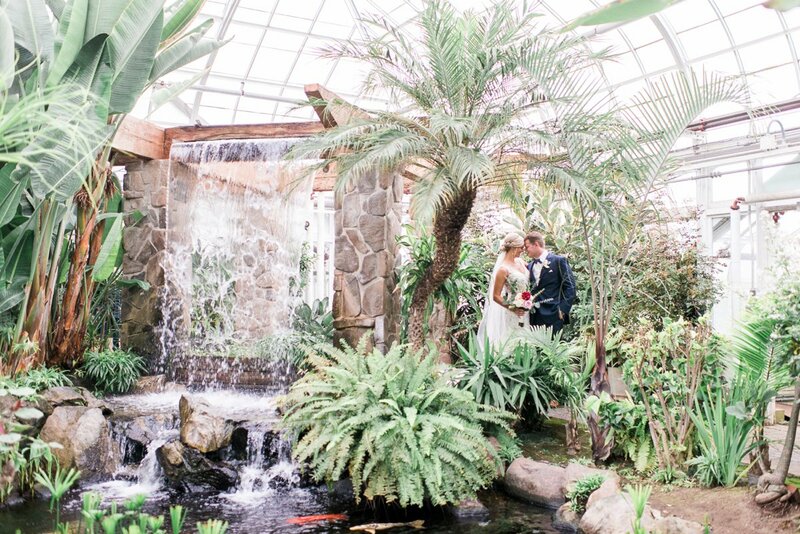 Bird Haven Greenhouse (Joliet)* : This adorable little greenhouse is perfect for bride + groom photos on a wedding day. And if the rain lets up, the grounds surrounding this greenhouse are filled with beautiful flowers and trees. 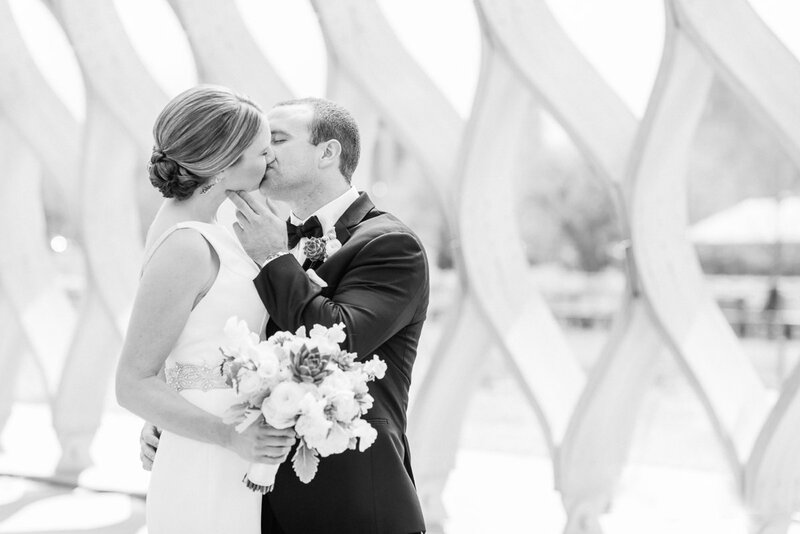 *A $20 photo permit is required to use this location for any photo sessions / weddings. Call 815-741-7278 to secure your permit. Wilder Park Conservatory (Elmhurst) : A small conservatory next to Wilder Mansion. 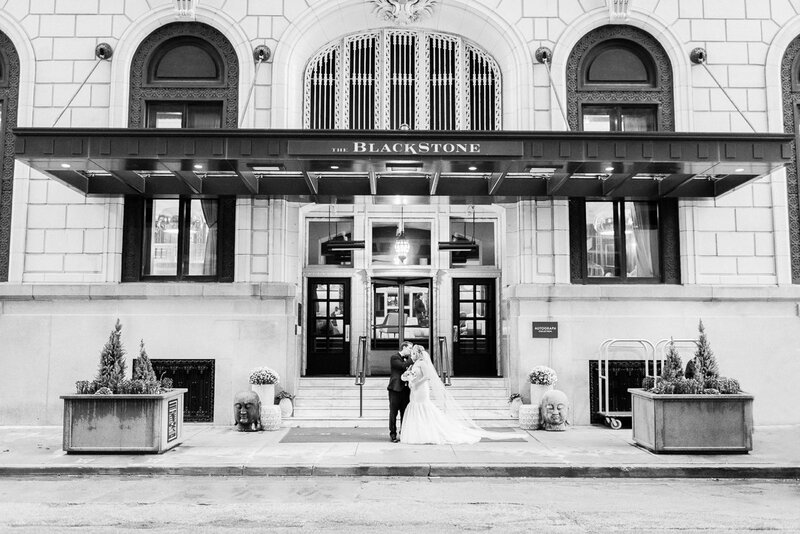 While it may be difficult to photograph a large wedding party inside of here, if the weather is especially, icky, it can save the day for bride + groom photos. 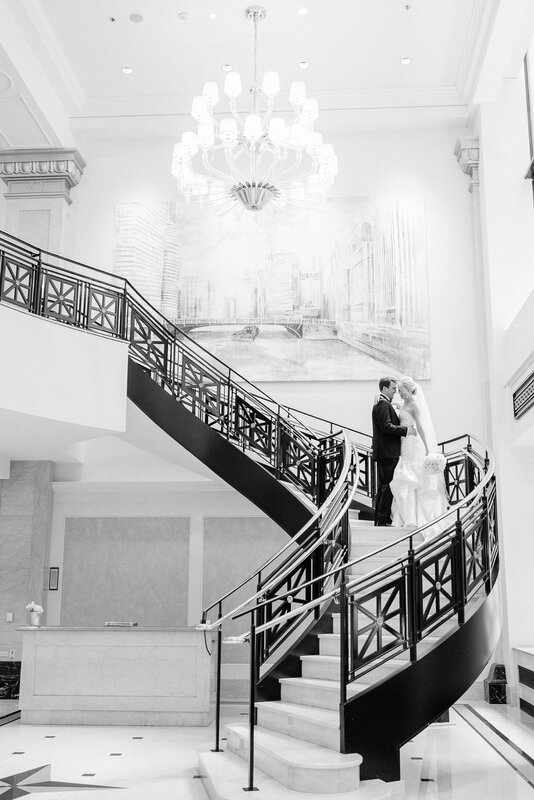 Renaissance Schaumburg Convention Center (Schaumburg) : This hotel boasts gorgeous natural light throughout the space, a beautiful staircase and fun little nooks and vignettes for photos. TIP : With any hotel location, I suggest contacting a hotel manager to ensure you can use their space for your wedding day photos. Of course it’s ok to be a little upset that the grey puffy clouds have covered up the blue skies, but once you embrace it, it won’t seem so awful. 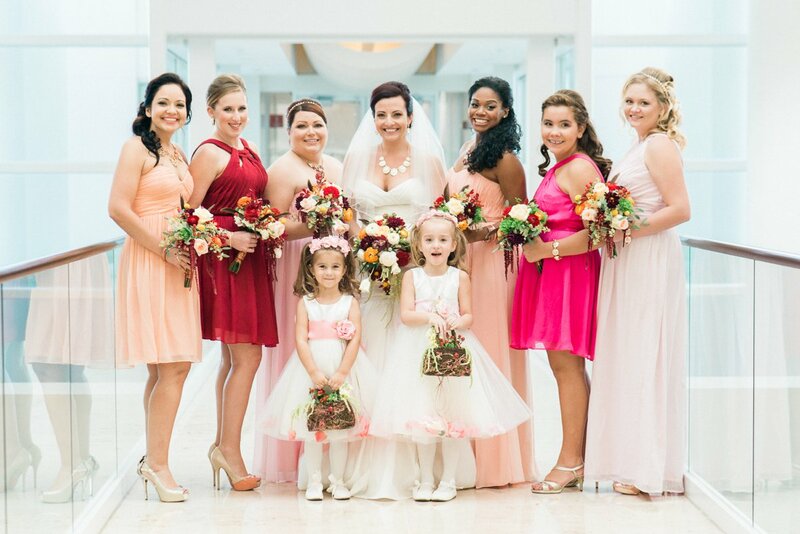 Laugh with your bridesmaids, cuddle into your husband, and maybe even reenact that dreamy Notebook kiss scene!